New Zealand’s proud record in the Australian Oaks continued when the odds-on favourite Verry Elleegant trounced her rivals in the Randwick classic today. Rising Romance began the trend in 2014, followed by Sofia Rosa in 2016 and Bonneval a year later. The Chris Waller-trained Kiwi-bred Unforgotten added her name to the roll of honour last year and it was the champion expat who was again to the fore today when he legged up compatriot James McDonald. 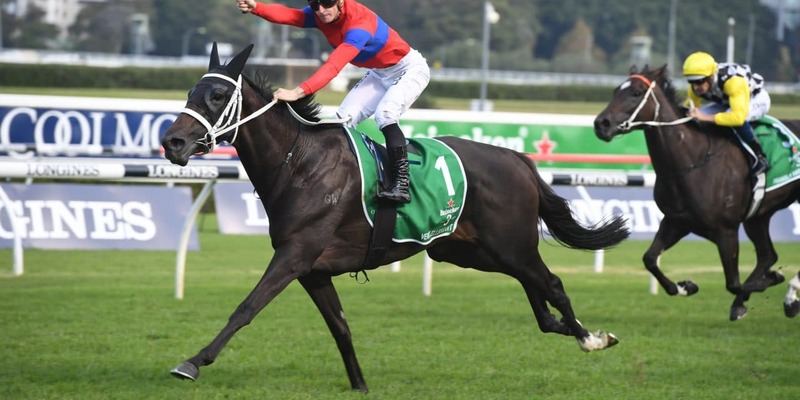 As Waller stood and watched, McDonald rode a masterly race, dropping the sometimes awkward filly towards the rear from her outside gate and not worrying when Hugh Bowman took second favourite Frankly Awesome to the front with 1100 metres to run. With 800 metres to run McDonald made his move, edging forward to midfield but on the turn still having a lot of work to do. Verry Elleegant took time to find a fluent stride and it was only when McDonald had her right under him that he asked her for a final effort. Just as she had been in the Vinery Stud Stakes two weeks ago, the Zed filly was relentless as she lapped up every bit of the 2400 metres to put a gap on her rivals and cross the line a length and three-quarters clear of Scarlet Dream, with another two and a half lengths to Frankly Awesome. There to soak up the moment were the trio who originally raced the big filly, breeder Don Goodwin, South Auckland trainer Nick Bishara and Matt Duffie, along with newcomers that joined the partnership when Verry Elleegant was transferred to Victorian trainer Darren Weir last spring. Goodwin had been at Rosehill for the filly’s first Group One win, whereas Bishara was prevented by commitments at home. The latter had concerns that his presence might spoil the occasion, but they proved groundless. He joined 80-year-old Goodwin in celebrating what they both described as the ultimate thrill to see the filly with a lowly background dominate Australasia’s best. The contribution of Chris Waller, who took over the training of Verry Elleegant following Weir’s disqualification, can never be under-stated, but he was more inclined to deflect any credit for the 99th Group One victory of his career. “That was a brilliant win,” he said. “She’s a very exceptional filly. I think the best is yet to come.